So you’re here. On this page. Which means some part of you is interested in learning a little bit more about me than you could get from the blog posts. Well then. That’s what you’re going to get. Here’s a little info dump about me. I am a INFJ. Shy at first meetings with people, but I warm up eventually. But books are almost always more inviting than any socializing. I love to dive into a book(s) and not be seen for hours. I hoard books like a dragon hoards gold. They are my preciousssss. I have a passion to write. To create worlds. To develop characters. To destroy them with my fingertips. Yes, I am known as one of those “evil authors”. No form of torture is unusable. I enjoy blogging, where I can express my thoughts. Yes, be forewarned. There will be much flailing and squealing and ALL CAPS on this blog. Though I’ll try to tone it down to coherence. I put on my headphones and immerse myself in music all the time. There’s something special about it. Twenty One Pilots. They are my favorite band. I know that they’re weird, but give them a chance. There is so much truth in what they say. Musicals, as of 2016, have become a major part of my life. I love how they can tell a story. HAMILTON. (You may or may not see many gifs related to it.) It is SO incredible. I also love Jekyll & Hyde. It’s so thrilling! Food is essential to my life. I. Love. Food. Especially all the breads and sweets. Cinnamon rolls and pizza and ice cream and pretzel rolls. I could eat them all the time if they weren’t actually not that healthy for you. I am an unashamed MARVEL geek. I watch the movies, read the comics, and wear the t-shirts. BUCKY!!! My poor child! I WILL PROTECT HIM AT ALL COSTS. Wolverine and Gambit are too very precious to me. My friends mean the world to me. I am SO grateful for the wonderful friends that I have. I know how hard it is to find good friends. Especially since I move around all the time. My faith is very important to me and I hope to share Christ’s story with everyone I meet. “For to me, to live is Christ, and to die is gain.” Philippians 1:21. I am an INFJ too!! And Amanda did inspire me in so many ways as well!!!! She is awesome!! That’s awesome! 😀 It’s so great to find another INFJ! Woo hoo! I agree, Amanda’s amazing. Thanks for coming by my blog, Felicity! Thank you! Cool! I’ll be looking forward to hearing from you again around here! I am so like you with the shy and quiet then then I’ve been around someone for a while, I wont shut up. I have to agree, OUAT is really good, and MARVEL amazing. So glad you are now enjoying the writing world! It is a great yet sometimes painful thing to do. Thanks! Writing can definitely be painful. *nods* But I think I enjoy it the more I do it. Oh, that’s so cool that your an INFJ too! Woo hoo! 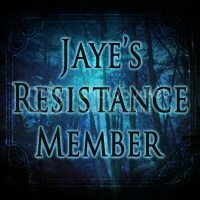 I stumbled upon your blog just now, but I’m glad I did! It’s nicely written and relatable. By way of introduction, I’m Thomas, another Christian blogger. 🙂 I can’t say I’m a very shy person, though, I love meeting new people too much! Hello Thomas! I’m so glad that you found my blog! 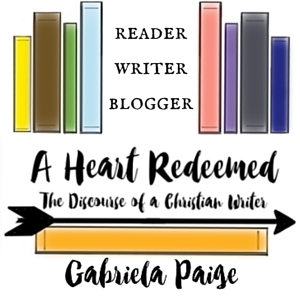 It is really neat to find so many Christian bloggers. I’m starting to get over my shyness, but sometimes it is a struggle especially if I can’t find anything in common with the person. It can get awkward when I don’t know what to talk about. I hope that you enjoy reading my posts! Just stumbled across your blog over at Scattered Journal Pages, but I realized… I already follow you on Twitter! Haha. Good to find another like-minded blogger. Neat! It’s so nice to meet new people with the same interests/ideas!! !